With a return to classes this week, many cash-strapped university students are still searching for affordable accommodation. But one Ontario university is experimenting with a new housing arrangement that pairs students with seniors, a concept that's gaining popularity across Canada and U.S. The laughter comes quick and easy at 73-year-old Constance Jain's cozy home in Hamilton. And her roommate, Tafadzwa Machipisa, is a big reason why. "Tafadzwa is very easy to get along with," Jain said. "She's just full of joy, and she's always interested in current events and things that I'm interested in." The comfortable banter between the pair makes it seem like they've been friends for years despite the fact they've only known each other about 12 months — and were born 46 years apart. Machipisa is a 27-year-old student from Zimbabwe studying medicine at McMaster University. 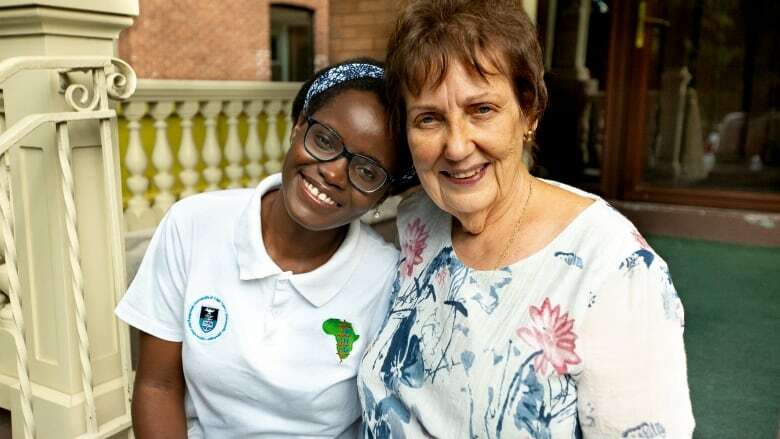 The two women have been brought together by a housing program that matches university students with seniors living alone in the community, an idea that has become increasingly popular in other cities and one that experts say can have significant health benefits for the elderly. The co-generational housing program is called Symbiosis because it's based on a mutually beneficial, symbiotic relationship, says its founder, Soumeya Abed. "It connects students who are looking for affordable housing with seniors who have a spare room, a furnished room, and can offer a little bit of extra support and companionship," she said. 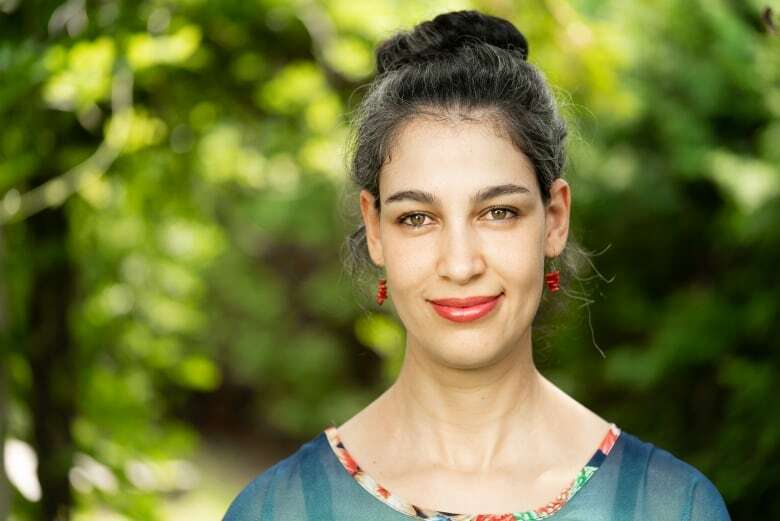 Inspired by her own housing experience in a similar program when she was a student in France about 10 years ago, Abed launched Symbiosis at McMaster in 2017. Before a student is accepted, there's a rigorous screening process to find a good match. In a conference room on campus several weeks before the start of the class, Abed and her team quizzed applicants on a variety of topics, including their personal habits, their willingness to do chores around the house, and how far they're willing to live from campus. As for the seniors, they must have a spare bedroom, home insurance and be willing to share common areas such as the kitchen or bathroom. They must not have any cognitive impairment. The co-housing program began as a pilot project last year. Forty applications were received, and 10 students were placed with seniors. The number of applications is up a bit this year. Abed says so far, one match has been made, but she is still actively recruiting seniors and interviewing students who will start school later in January. Machipisa was one of 10 students placed last year. She liked it so much, she came back to live with Jain again this school year. "If something's good, then why stop?" Jain described Machipisa as "very intellectually stimulating," but added with a smirk, "We've had a couple of disagreements." Apparently, those disagreements have been over shoes. But Jain said she and Machipisa have a lot in common. An interest in archeology, for one, and South Africa. Machipisa was a student in Cape Town, and Jain travelled there many times with her late husband. 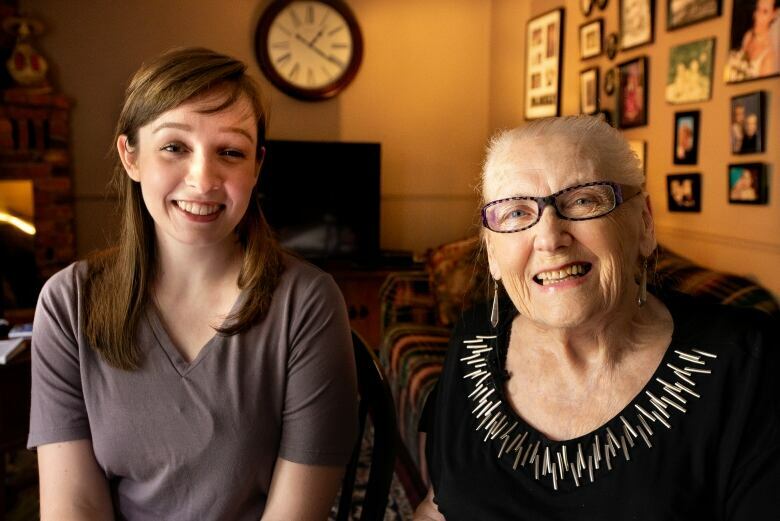 Cara Duncan, a 23-year-old studying gerontology, or the aging process, has had a similarly positive experience with her 92-year-old roommate, Lesly Adamson. "It's weird to say, 'My roommate, who's 92,'" Duncan said. But Adamson takes it in stride. "It's just one of those things," Adamson said. "We just got on." Duncan is back at Adamson's home for a second year. She's getting a break on the rent in return for some light housework, including laundry, and a bit of companionship, which Adamson says she appreciates. "It's lonely being on my own," she said. "But having Cara makes a difference to me." Assisting with chores is certainly helpful, but there's also evidence that simple companionship is good for the health of seniors. "Upwards of 25 per cent of older adults tell us they don't have a family member who can help them with basic tasks such as getting a prescription filled," said Dr. Samir Sinha, the director of geriatrics at Toronto's Mount Sinai Hospital. He describes loneliness as one of those "silent killers," with profound health implications resulting from depression and anxiety. He says housing programs like the one in Hamilton can be life-saving. "It actually gives some peace of mind to that older person," he said. "It gives them a greater sense of security and the ability to feel like they can maintain their independence for that much longer." Maintaining independence is key for seniors like Jain. But a bit of company is good, too, because it means her home doesn't feel so empty anymore. "It's comforting to hear the door shut and to hear her voice." Kas Roussy is a senior reporter with the Health unit at CBC News. 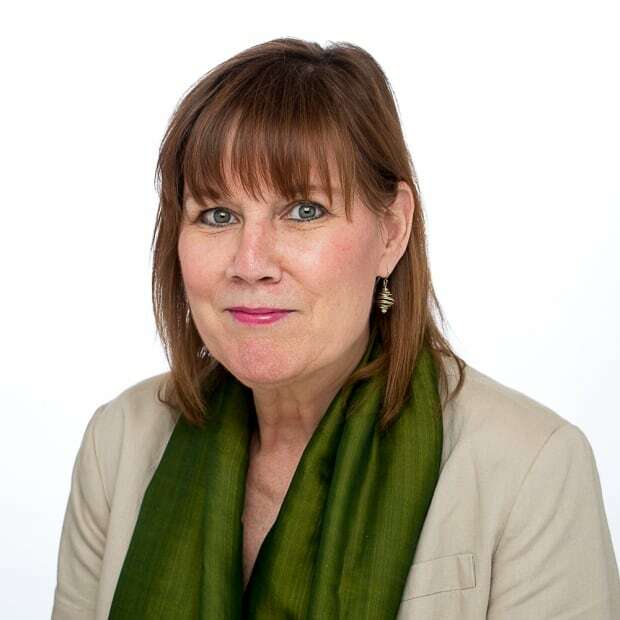 In her more than 30 years with CBC, Kas’s reporting has taken her around the globe to cover news in countries including Pakistan and Afghanistan, Chile, Haiti and China, where she was the bureau producer.